After a two year Hiatus from drawing I picked it up again this Christmas. Had some time to spend in a sofa, it is relaxing and I found out I have a good hand for it already. It stuck. I began trying to draw Peter Griffin from Family Guy. Even though the style is very simple yet elegant, it was not as easy to draw as I hoped. Proportions are a big part of drawing. Get them wrong and your drawing looks completely awful. Hit it right and you suddenly look like a skilled artist. My first tries came out fair, but I realised that to nail this I needed some help. Luckily one of my former colleagues hooked me up with a professional artist who had done character animation some years ago. She agreed to sit with me and teach some fundamental drawing techniques. Stuff that you can find on the net in buckets, but I needed some real trainer to get me running. She taught me to draw a circle and cross lines on it as if it were a 3d object. Then you add your nose, eyes on the lines, ears, mouth, shape of the head. Do it in a very gentle hand, “a child’s touch” she called it. When you see the rough shape of your character, your start adding facial traits and eyes. Everything is very well documented and illustrated on Cartoon Fundamentals. I was taught the same technique (as it is universal) as we sat in their apartment on a cold January afternoon. I took the lesson home with me and immediately started drawing characters. And it really worked! I immediately saw a jump in my abilities by simply following the steps I was taught by a pro. I have then spent about 3 weeks doing evening drawing sessions on about 1 hour, mostly drawing various characters from Morris’ Lucky Luke. The man really had an eye for characters, some of them are incredible pieces of art. My next step is to redo the tutorial from Cartoon Fundamentals and try to get my own facial expressions down on paper. I really needed a wiki for sorting out the information I have gathered for this year’s course I am following on IT University of Copenhagen. And I found one that will fit in my pocket, metaphorically speaking. The problem is that I can’t install a true Wiki plugin on a wordpress.com page. I can’t be arsed to run my own server or worrying with maintenance and all that. I found TiddlyWiki on a How-to Geek page about it. IT works with DropBox and Skydrive. Will experiment with it. Check out these great posts that defines what HTML 5 is allabout. What can we do with HTML5? We can create those rich and learning applications using standard web technology instead of relying on Flash. This is a challenge we need to overcome in a world where many users expect mobile access to learning. Check out this page for an animation effect. Click Demo button, then click the arrows at the top to flip pages. You see the Phone image race from the side when you click. This is a basic HTML5 effect if I understand correctly. First, I am now able to draw a soda can. I can’t get the Coca-cola logo right, too many squiggles in that writing. But the shape of the can is nearly there and I got the top drawn properly. Still have to work on a more STEADY hand so that my lines are more straight, but that I will get to with hours spent. Secondly, my job suddenly required of me to come up with a quick and dirty concept for some human-like figures. I took my inspiration from Microsoft’s Office Screen Beans, little inky blokes that you can insert into your PowerPoint slides or Word documents through the ClipArt function. Like them or not, they’ve been use a lot – abused almost – by people all over the world. Using them today is considered tacky and smacks of the Nineties. Still, they are fun and they look like fun to draw. Penny-Arcade, The Trenches and xkcd. Here they are, drawn to express various mental states that an employee can run through after an M&A or other big impact has hit the company. Usually means that someone is going to be sacked. These scribbles are not production quality and I’ve sent them to a professional sketch artist to have made proper. They were just as an inspiration. But they did also make me thirst for learning to draw people properly and in a naturalistic way. As I say, or someone else say, learn to do it properly first, then you can free style with proper freedom. This goes for music as well as for drawing. Right now I try to push myself by drawing the things that are right in front of me in order to get my naturalistic stroke down. I took a tip from a professional drawer: Imagine there is a pane of glass between you and the object you try to draw. Close one eye and imagine you are drawing the outline on the glass pane. It helps a bit to distract my mind from the fact that the object is 3d and my piece of paper a very flat 2d. I had a great little encounter in the subway on my way to IT University of Copenhagen for this week’s evening class. I sat hunched in the front seat sketching in my book. I do that in the train, might as well spend your time on something worthwhile. Reading news on your iDevice isn’t productive. Right, a 4th or 5th grader. Well, I tore off one of my scribbles and wrote the name of the author and the book on the paper, then gave it to the kid and suggested that he could get his mother to help him read it. “Thousand, thousand thanks” he said and got off the train, I sure felt happy. Must draw more when taking the subway! I ran into the theory of Flow again preparing for the next class in my Learning and IT course on IT University of Copenhagen. Flow is something you experience when you are really focussed on something. The theory is put forth by a professor in psychology, Csikszentmihalyi. Watch the Youtube video Csikszentmihalyi and Flow Theory for the 2½ minute version of it. It gives you enough understaning of the concept to realize if it is something you have experienced yourself. And I have, many times, in my learning progress. When I sit in front of my piano, I ususally do not think about anything but the piano playing. I am not thinking about who I am, what I am doing here, or other concerns that are unrelated to the thing I am doing. I am not even thinking: Oh, I wish that I was as good as Rachmaninoff or that I had achieved half of what Schubert did before he died at the age of 30. I just make sounds and work towards my next near goal: To play the entire song correctly, or maybe even just bits of it correctly. And, whoa, is it half past eight already, I should make dinner! The same experience is less pronounced but still existing in my drawing excercises. If I sit in the train while sketching it’s hard not to notice the world around me. I am, afterall, supposed to get off at a station and walk to my work or home. But when I sat down at my dinner table yesterday, I was engrossed in the task and first “getting out of it” at the end of my project. Again, I have an agenda for drawing practice, which is to be a better free hand drawing artist. But in the situation I was not concerned at all about the future, except for getting the shadow and lighting correct on the cardboard box I was drawing. Flow? Maybe. I am definitely doing it for the purpose of doing it. Losing oneself in the process allows one to learn more about one self. Odd. Perhaps one should be careful not to view “Flow” as the goal, I interpret it more like that it is the state of mind you are in when you achieve the best out of a learning situation. If you get to the point where you lose yourself like that, you’re not going to get around it any smarter. So once you experience this, think about why and how you can repeat it for another thing you want to learn. There is no need to further paraphrase him or those who paraphrased him enough already. You can experience him yourself on his TED Talk appearance. 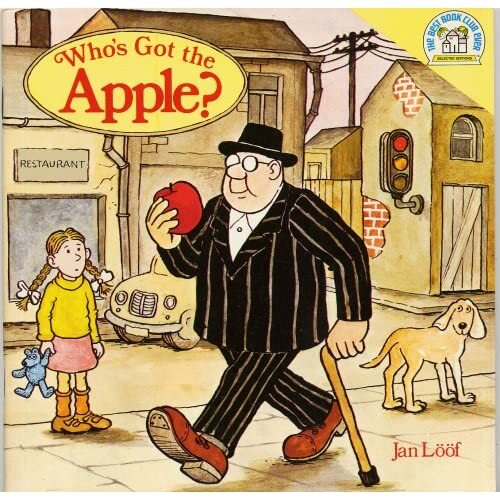 He wrote and drew the wonderful Who’s Got the Apple? and Felix. Not to forget Uncle Louie’s Fantastic Voyage (known as Skrot-Nisse in the original Swedish language). I loved his drawings, I really did, and I remember how I wished that I could draw like him. I was generally attracted to drawing little intersected worlds, like, take a ship, or an Evil Overlord Fortress or something like that, and cut it in half. Then draw everything as seen inside. This kind of drawing could still be fun, but the drawing I am inspired to do is the one that mimics what I see. The book I purchased deals specifically with drawing in 3d. 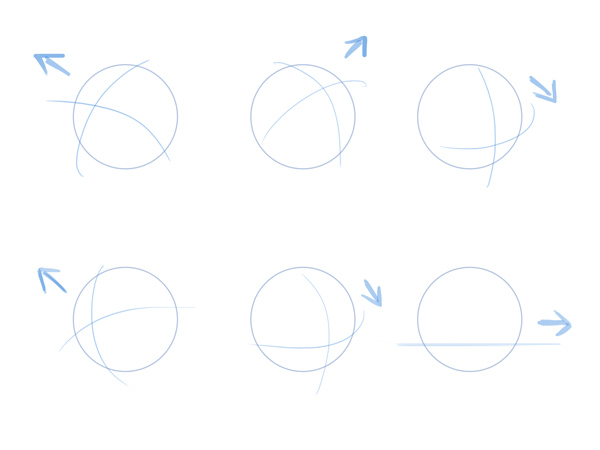 First you draw a circle, then you learn how to add shading and light sources. Next chapter is several circles with shadows between the objects. Then perspective enters, and after this boxes. The author gradually introduces new concepts with well written text and – naturally – hand drawn examples. I have made some progress. I can shade and draw circles and boxes. Some hours of experimenting with various pencils have given me a better impression of what I am able to accomplish. This is not hard since I feel how the techniques I taught myself as a kid or was taught by my grandfather still sits there and was just waiting for me to use them again. There is quite a large span from being able to draw geometrically predictable – and simple – objects like boxes and circles. Drawing your own thumb or the nose of your shoe is much harder. But I did try, sitting on the train commuting to work. Looked at my left thumb as I drew it with the right hand. Looked down on the floor and tried to capture the shape of my shoe with shadowing. Before buying this book I mentioned, I did google a lot of Learn How to Draw and what not. I caught up on a few tips on it, but the best tip given to me was by my brother-in-law: Thicken your stroke at the end that is closest towards yourself, then you add an instant dimension to the paper. I applied this to the box that I drew below. I tried a lot to learn to play some medium difficulty Edvard Grieg pieces like Im Balladenton and Wächterlied (Watchman’s Song). I really enjoy playing nordic, romantic pieces. But I struggle a bit too much on those, so in order not to curb my enthusiasm and my sense of progress, I switched to more accessible songs a few weeks ago. The songbook Politikens Lystige Viser is a collection of 10 volumes of popular melodies old and new from Europe and America. The series has been published since 1950s so a lot of the pieces are then-contemporary hits that you’d not bother with today. However, you will also find a lot of pearls, evergreens or gold nuggets. This also helped me approach a weak side in my piano playing: Reading off the sheet. I have used a small app for the iPhone: PianoNotes. It is not a terribly well made app and one I would recommend without reservation. But it does allow me to drill the F-clef a lot, which is my really weak side. Simply reading songs from the sheet in Politikens Lystige Viser 10 and playing it with my right hand works wonders for my G-clef reading ability. 1 PianNotes for iPhone. Not terribly good, but not terribly terrible either. Allows me to drill F-clef. These songs are composed to be quick and simple to play, so there are no polyphonies. The trouble is, even though I can read and play polyphone songs, it takes me far far too long yet. Every Wednesday I am attending Learning and IT-course at IT University of Copenhagen. In addition to a lot of great pedagogical theory, I had the pleasure of meeting one of danish e-learnings upstarts. They are doing very well it seems, even though they are living mostly off public funding. Søren Adolph from the company Version A was telling and demonstrating a couple of his products for us. One of the “key takeaways” from his experiences is: Motivation and Pedagogy is vital. And I agree completely with him. I wondered why I had suddenly gained this appetite on learning. I work with it and learning new things is fun. Especially when you can use them. That is the entire thing that gives it for me. Because I have been learning for so many years, I have maybe reached a state where learning more is faster and easier. I know what to expect when I am trying to learn something new. I even know how to shape my learning a lot better. So when I meet stuff that isnt motivating me, I abandon it unless I realize it is vital for my further progress. This is why I drill chords on the piano, though not always terribly exciting. Or the F-clef on the iPhone when taking a train ride. Or hours of Lynda.com tutorials on weird little features of Illustrator that I’ll probably never use. Or draw cirlces with shades on the with a graphite pencil. All these voluntary things are building on decades of forced tuition. Learn to read. Learn to write. Add and subtract. Drive your bicycle. Tie your shoelaces. Tell the time. And so forth. Many a day has been spent on it because I was told to. I mostly didnt mind doing it, but I certainly couldn’t see any point in it. I didn’t know that at the end of all this learning lay even more learning. But being naturally curious I read a lot without thinking that I was learning something. I am motivated to do all these things because I need them. And because I want to be able to do all of them. Not as a master, but well enough. Just as anyone should be able to cook themselves a score of decent meals, they should be able to sing a song, play one, read a book, write a letter, draw an image and hammer something together from wood and nails. Simple accomplishments. Motivation is the thing, and the hardest to instill in anyone. Perhaps because Motivation is a very generalizing term that describes a lot of processes in our beings that compels us to do something. Is it so, that you can only inspire?